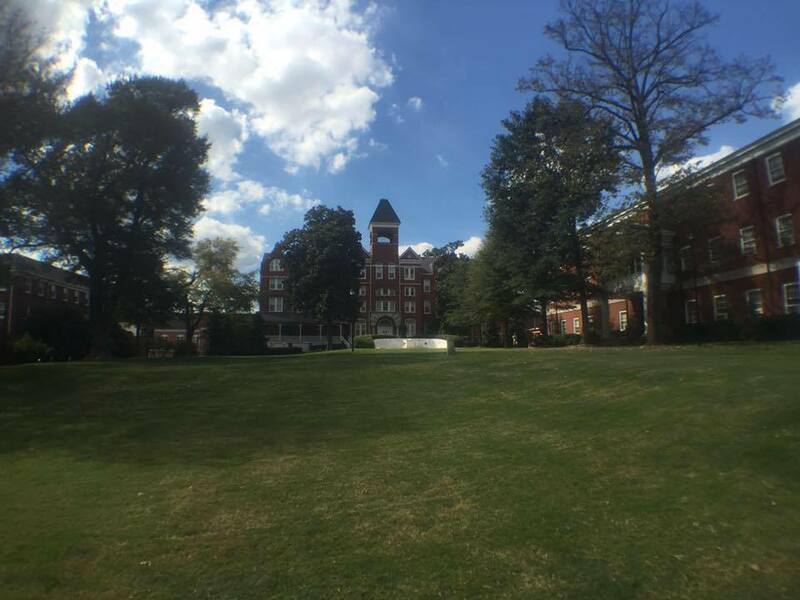 It's My Mind: The "war" at Morehouse? I did a quick blurb today at Electric Moleskine blog about the conflict at Morehouse College. There I boiled this situation down to this. However I recommend you read the articles that I have posted there about it. So let me see packing the board of trustees, keeping student leaders off the college board of trustees, chairman of the board of trustees isn't getting along with the college president, and the board of trustees effectively fired the college president. I wish I knew the nature of this drama. Over the past few weeks, The Root has spoken with 13 members of Morehouse’s staff, alumni, faculty and students, reviewing several documents—including emails and court documents—accounting for much of the conflict at the institution. What we discovered beneath the polite smiles and aged artifices was an institution teetering on the edge of an outright melee, rife with seething resentment cloaked in academic protocol. Morehouse College is on the brink of a crisis, and almost no one knows it. Not the students who were so upset with the institution’s hierarchy, they took the college to court; not the faculty members who desperately reached out to The Root because they were so concerned with the situation at the school; not the board of trustees that stiff-armed every other source of input, and not even its president who—after possibly rescuing it from the brink of insolvency—was unceremoniously shown Morehouse’s front door and instructed to not let the doorknob hit him on the way out. This war has two fronts: On one side, is the faculty of the college. They are the dedicated scholars who understand the day-to-day struggles the school faces. They occupy the offices, hallways, laboratories and classrooms that give Morehouse its stellar reputation. The only entity more invested in the success of Morehouse is the student body—the soldiers on the ground. No one else spends more time in the hallowed halls of Morehouse; they are the lifeblood of the institution and it is their money that pays the bills. When anyone speaks of the legacy of Morehouse, they are talking about the former and current students. They are Morehouse. The college is run by a combination of the president of Morehouse and its 40-members-strong board of trustees. (Most college boards average around 11.8 trustees.) The boundaries and responsibilities for each are spelled out in the school’s bylaws. The board appoints the president, who manages the college. At the top of Morehouse’s board of trustees sits its chairman—Robert C. Davidson. Davidson graduated from Morehouse 50 years ago, but according to interviews, statements and pages of emails and other documents obtained by The Root—he is accused of running the college like a dictator, unwilling to yield or compromise with any outside voices. Faculty, students, a consulting firm, an accreditation committee and an independent analyst have all warned Davidson that the board of trustees’ actions were hurting Morehouse, to no avail. In response, the board of trustees stacked its roster with cronies, often using undemocratic tactics to silence the faculty, students and even the school’s president. The faculty and students instead, as primary stakeholders in the institution, demanded their voices be heard, but Davidson and the trustees would not budge. OK that was more than a flavor but enough. On top of that whether or not Dr. Wilson was let go by the college or otherwise he's on his way out of the door. It doesn't matter how it came about. This article shows that the Chairman of the Morehouse board of trustees doesn't like the President of the College, question is what is the genesis of that conflict. Why is this becoming the big drama when there are other issues at play here? Even though enrollment has been improving and perhaps financially Morehouse is doing better why are we hearing about conflict between board of trustees, president, faculty and students? Over at E.M. I've posted a number of stories about Morehouse especially since Trump became President. Dr. Wilson was the forefront of disappointment over Trump's plan for America's HBCUs. I even noted Wilson's future departure from Morehouse - fired or at his own free will. Still what's going on at "Dear old Morehouse"?